Went up with family this past weekend. Plenty of room for all of us. Very clean. for activities due to steep terrain. Power was out for 2 days due to tornado. (obviously, out of owners control). We will stay elsewhere next year, closer to a more scenic area and tourist activities. This home was perfect for our girls trip. The space, the beds and the openness of the home was fabulous, we were always connected on the main level. The driveway was definitely a scare when first arriving but we mastered parking, getting in/out throughout the weekend. Didn't quite use the downstairs much, it was the perfect temp for the warm weather though as it's a bit more chilly than the upper part of the house. 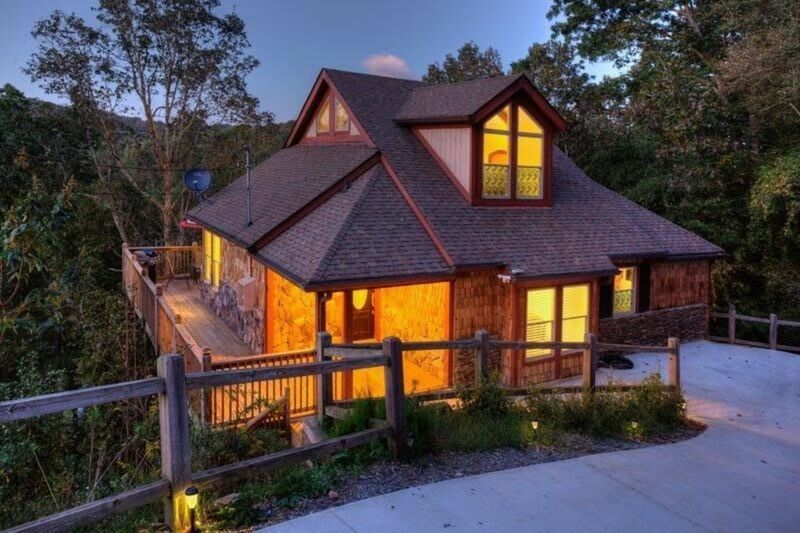 This home is truly a disconnect and relax take in the peace and serenity home, the wifi isn't the greatest so plan to bring your own hotspot and/or limit electronic use. Suzel and Dallas had all we could think of when it came to supplies and utensils; the kitchen is fully loaded with many pots/pans and gadgets, they provide plenty linen and some simple sample toiletry items just in case you forgot something. I would definitely go back and be sure to take advantage of the many additional amenities the resort has. Clean and nice, large bedrooms! We loved this place. Very close to downtown Ellijay. The house has beautiful views overlooking mountains! It was clean and we had everything we needed for a comfortable stay. The owner was readily available to questions we had and our family had a wonderful time exploring Elijay! Was not disappointed when we entered the Chalet. Felt like home! Had a very relaxing few day exploring the area. Would definitely recommend this property!! If a refundable deposit is preferable instead of damage protection insurance, please contact us and we will make pertinent arrangements for our guests.